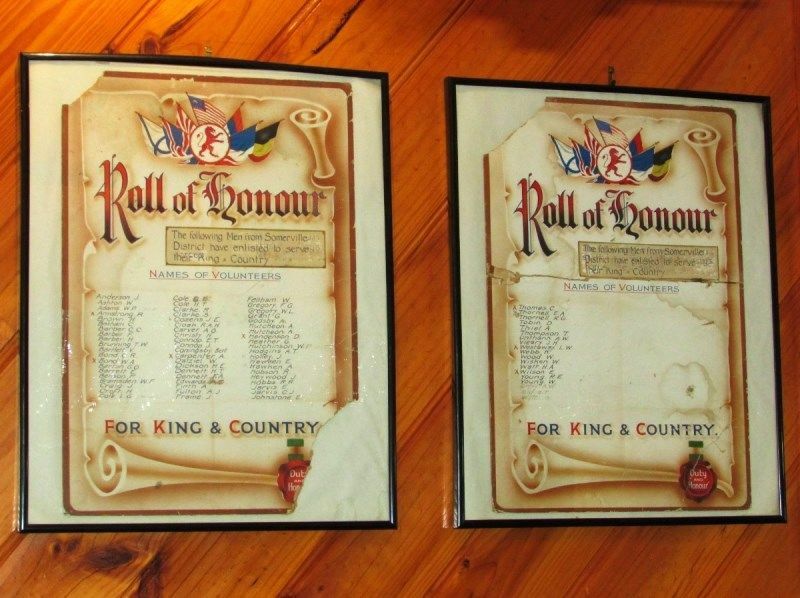 Two framed certificate type rolls commemorate those from the Somerville District who enlisted in World War One. The two rolls do not appear to be a full alphabetical list. 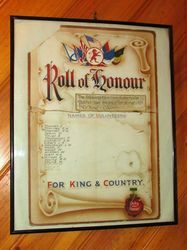 On the 5th December 1917, an artistic honour board donated by Cr. Geo. Griffith J.P. was unveiled by General Williams. 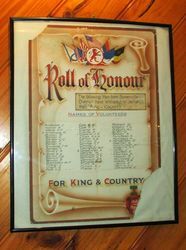 The roll contained 186 names of those from Somerville District who enlisted in World War One. 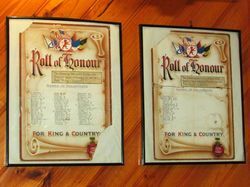 It is unknown by Monument Australia if this is the original roll or a replica.